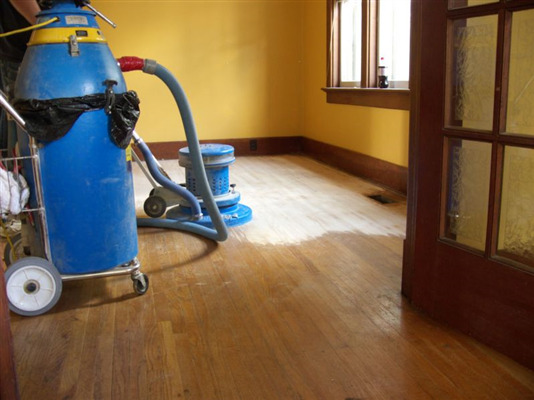 Changing the color of hardwood floors doesn't require a complete replacement. In fact, one of the major benefits of hardwood flooring is that it can be resurfaced, refinished, and re-colored at any time. Hardwood floors can either be taken a darker color or a lighter color, depending on the wood itself, but the process always begins the same way: by removing the existing finish. Hardwood floors can be a significant investment. In order to keep them looking brand new, homeowners need to avoid scuffs, scratches, and dings. That can be very difficult when managing heavier or larger pieces of furniture. Homeowners need to be proactive about the care of their hardwood floors if they want them to last a long time.